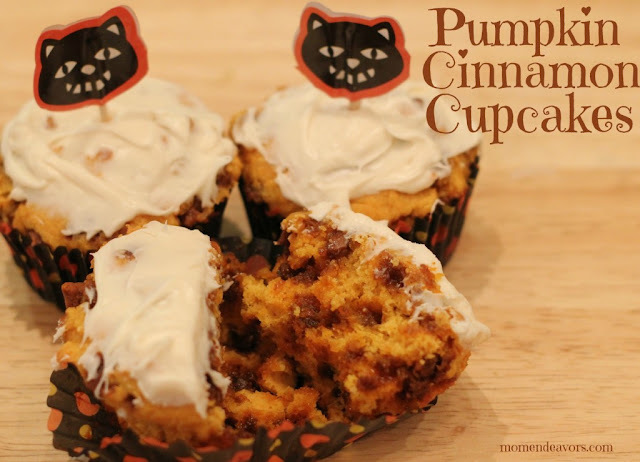 3 ingredient Pumpkin Cinnamon Cupcakes from Mom Endeavors. OK. I love cinnamon. I love pumpkin. You know what I love most of all? Easy. Don’t these Pumpkin Cinnamon Cupcakes from Mom Endeavors look decadent? Yep! You know what else? There are only three ingredients! Click HERE for the reeeeediculously easy recipe! You can also find Mom Endeavors on Facebook, Twitter, Instagram, Pinterest and Google Plus. Do you mind if I quote a couple of your articles as long as I provide credit and sources back to your webpage? My blog site is in the very same area of interest as yours and my visitors would definitely benefit from some of the information you provide here. Please let me know if this alright with you. Regards!